An airship flying high in the sky of a distant world. A digital illustration I created using 3D modeling software Hexagon 3D 2.5 & 3D Coat ver 4.8. Compositing and painting done with Photoshop CC 2018 & Topaz Studio Impression. A skycar of the distant future cruises the evening city skyline. 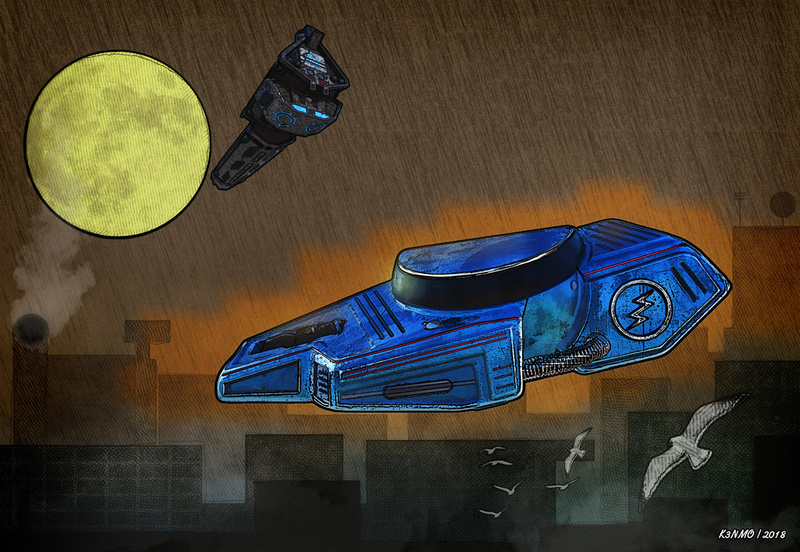 In the background an sky cargo ship leaves the city to delieve it’s freight to an unknown location. 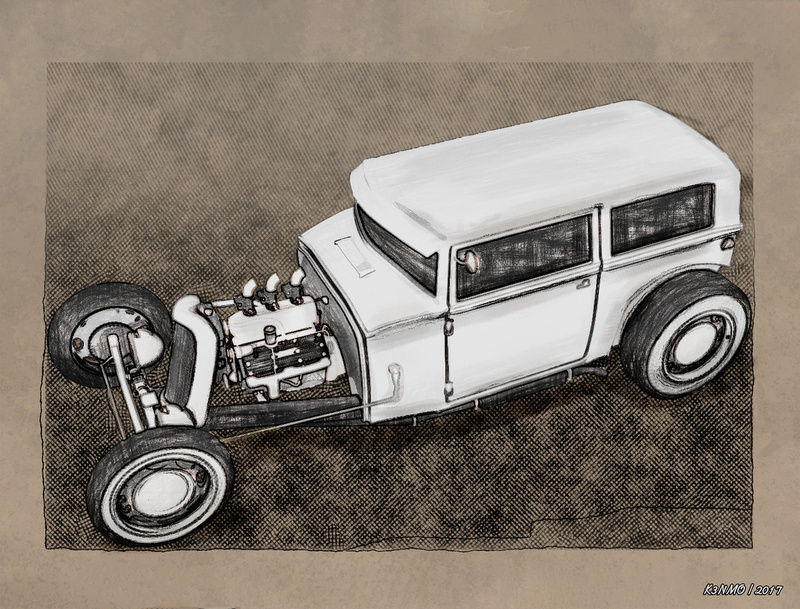 I modeled the car in Groboto3D and 3DCoat 4.8. The cargo ship in Hexagon3D & 3DCoat. Texturing in 3DCoat. Rendered in Poser Pro 11 using comic book option. Postwork done in Photoshop 2018, Topaz Studio Impression, Filter Forge 7.0 and ArtRage 5 to give it a comic book illustrative look. 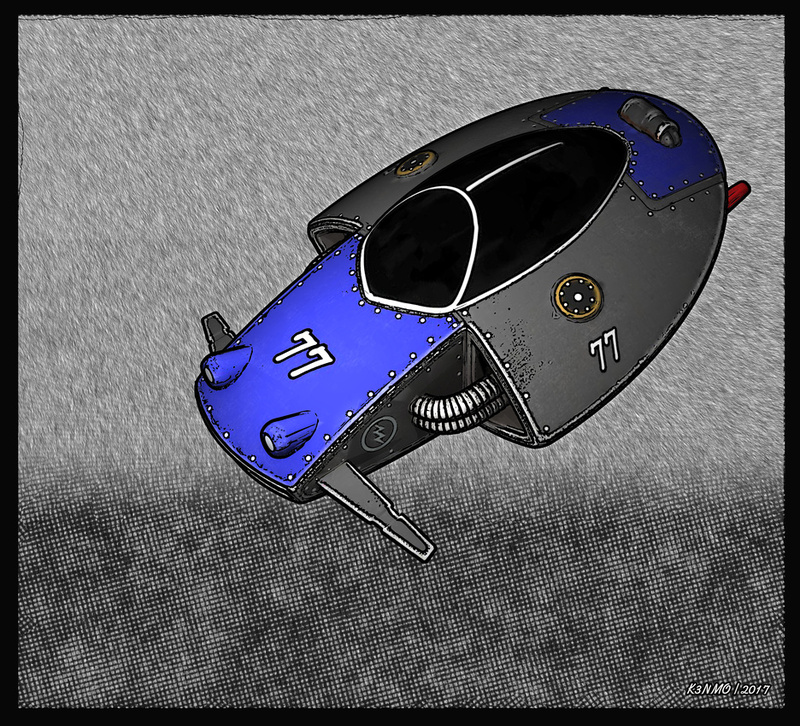 Another one of my futuristic skycars/spacerods influenced by Heavy Metal magazine and the art of Moebius (aka Jean Giraud). The owner takes his skycar for an evening cruise over the city skyline. Modeled in Groboto3D and 3DCoat 4.8. Also textured in 3DCoat. Rendered in Poser Pro 11 using comic book option. 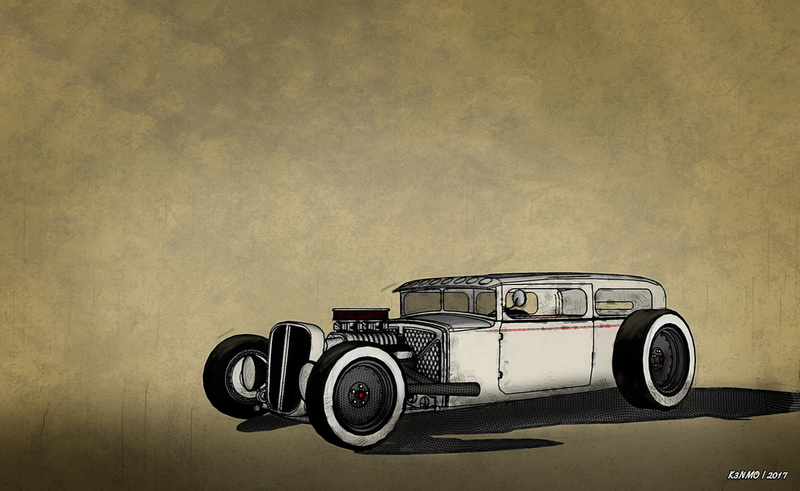 Comic Book version of my future flying hot rod racer vehicle. Modeled in Groboto3D & 3DCoat. Compositing done in Photoshop CC 2017 & Topaz Impression 2.0. Rendered in Poser Pro 11.1 with post work in Photoshop CC 2018, Filter Forge 7 & Topaz Studio Impression 2.0. 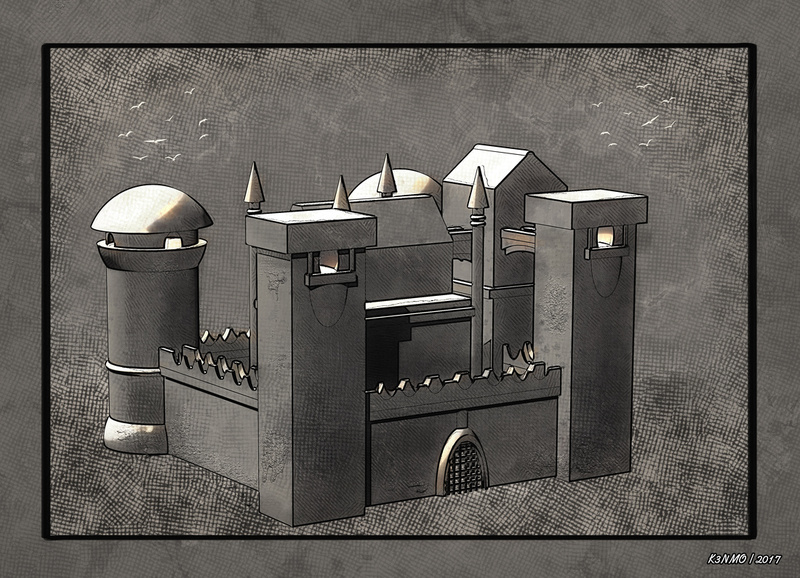 My interpretation of a fantasy castle, influenced by the literary works of Robert E Howard and the art of Barry Windsor-Smith. I modeled the castle in the 3D modeling application Groboto 3D 3.5. Further detailing was done using Photoshop CC 2018, Topaz Studio Impression, Filter Forge 7 & ArtRage 5.0. 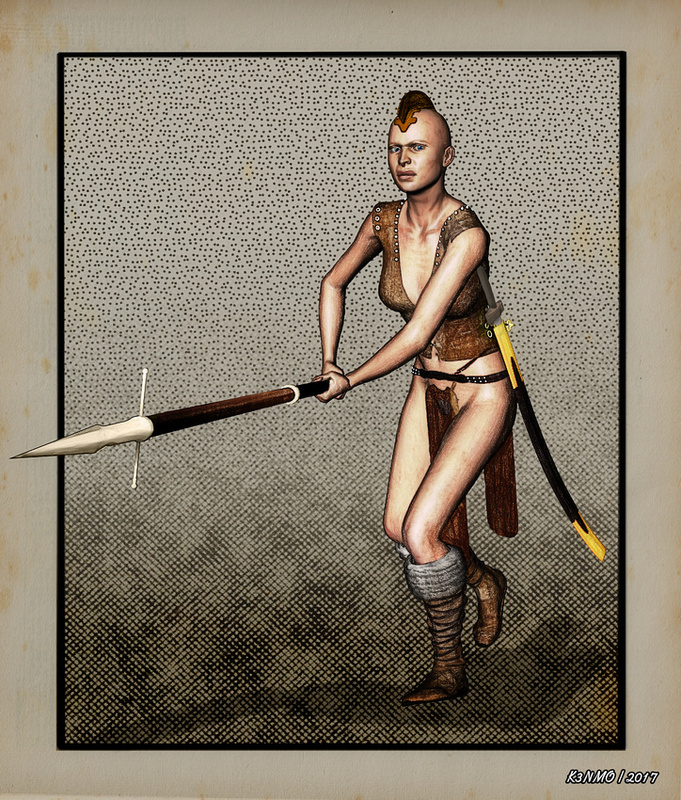 A few digital illustrations I recently created which were inspired by my love of fantasy, sword & socrery fiction such as the works of Robert E Howard’s Conan the Barbarian, King Kull & Solomon Kane. And comic book artist Barry Windsor-Smith. No other artist drew Conan better then Barry Windsor-Smith. Perhaps Frank Frazetta but his works were paintings and not comic book art. 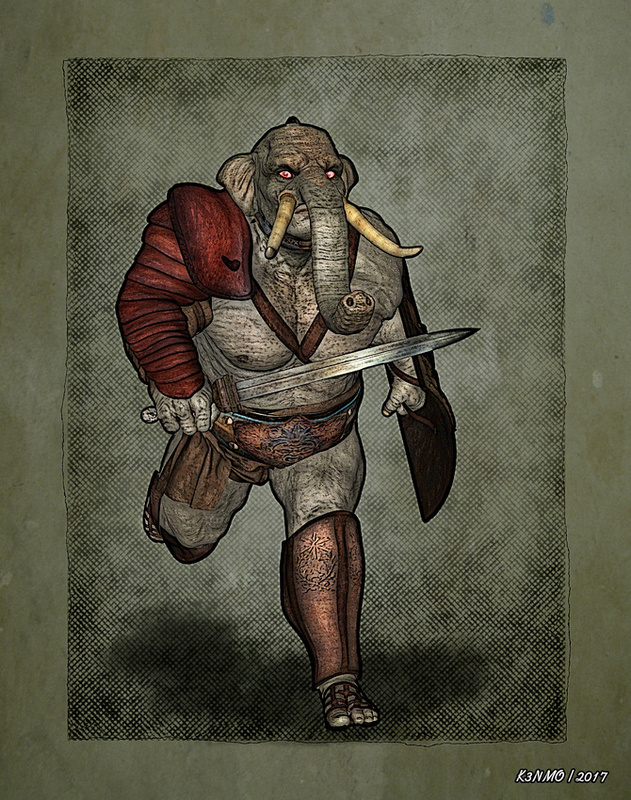 War Beast – A massive and very powerful melee fighter. 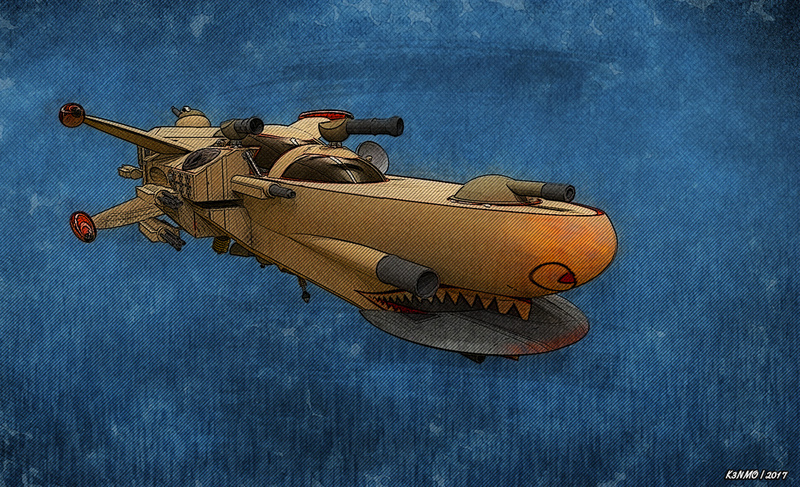 A heavy artillery spaceship. I designed the spaceship and modeled in various 3D modeling apps (Groboto3D, Hexaton3D, Wings3D, Silo3D and textured in 3DCoat. With processing in Adobe Photoshop 2017 and Corel Painter 2017 to give the image a comic book type of illustration. 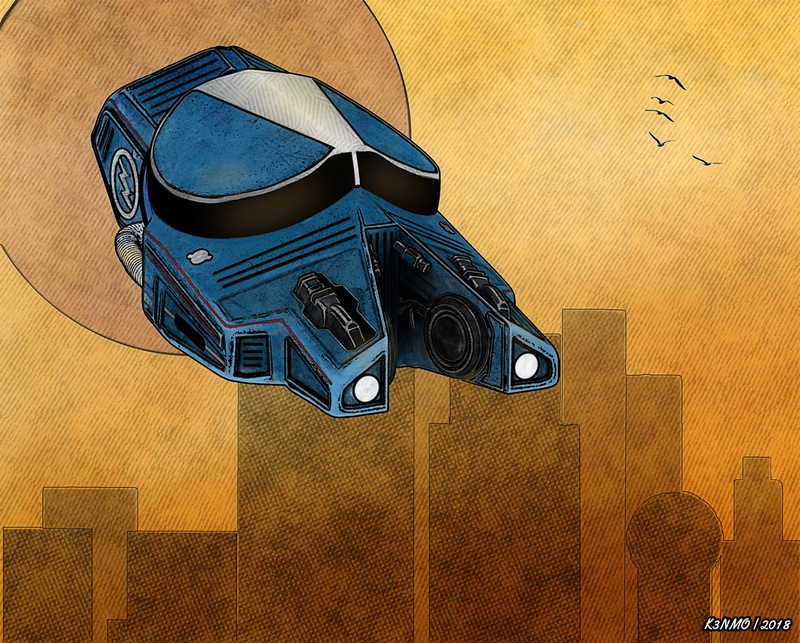 A steam powered airship flies over a distant, future city in dystopian world. 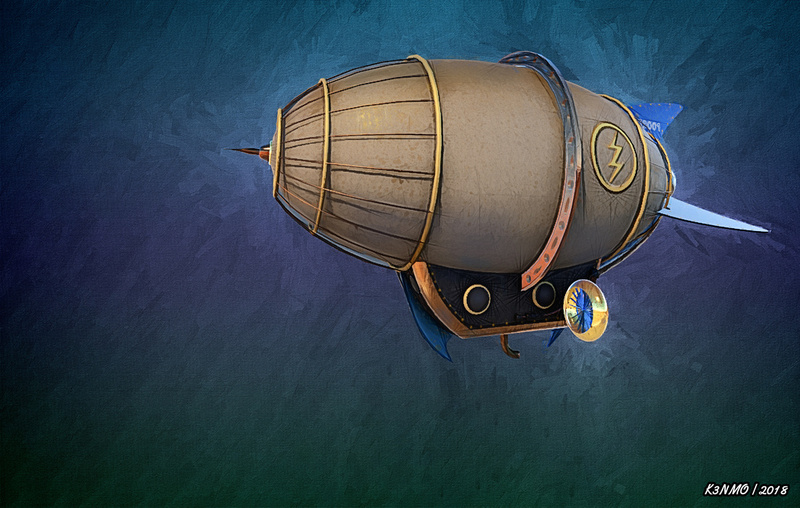 I modeled the airship in Hexagon3D & Groboto. The buildings are the dystopian city blocks from Cornucopia3D. Scene was rendered in Vue Complete 2015 using the NPR settings. With details and adjustments made in Photoshop CC 2015 & ArtRage 4.5.